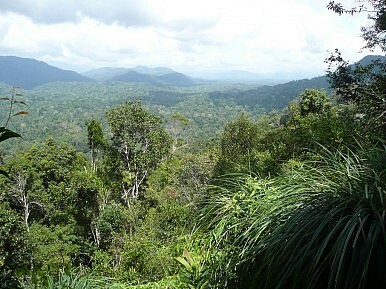 Malaysia’ officials wage a war of words over the country’s rainforests. Will politics save them? Environmentalists have fought a dogged battle with Malaysian politicians and big business interests in recent years. Results, however, have been mixed, as much of the country’s rainforests have been lost to the planting of palm oil and rubber plantations. With an election due, campaigners hope to put the environment, and the damage it has endured, back on the political agenda. This intention to revive debate about environmental issues was made clear by Opposition leader Anwar Ibrahim at a recent rally in Kuala Lumpur. The rally was attended by tens of thousands of supporters who were calling for an end to government corruption and a serious effort to clean up the country’s environment. The large turnout was a wake-up call for Prime Minister Najib Razak, who has upset plantation owners by urging them to halt the planting of oil palms on peat lands, pending studies on carbon emissions. Wetlands International and Greenpeace claim that these practices result in large greenhouse emissions after the water involved drains from the soil. Meanwhile, Anwar is also targeting a rare earths processing plant being built by Australia’s Lynas mining group in the Peninsular Malaysian state of Pahang. This project has faced fierce opposition from locals and has emerged as a lightning rod for environmentalists who are facing-off against big business. But logging, legal or otherwise, and the habitat destruction it causes; alongside the close ties between politicians and plantation owners, are at the core of Malaysian politics. If left unaddressed, these issues could form the basis of many electoral gripes and translate into lost votes at the polls in June. Last September, environmental politics came to a head when illegal logging almost caused a diplomatic incident. Britain’s Prince William was urged to abandon an official visit to Borneo by campaigners who have accused Malaysian leaders and their business partners of earning millions of dollars from illegal logging in the Malaysian states of Sabah and Sarawak. The timing of the planned royal visit was unfortunate. A month earlier, Musa Aman, Chief Minister of Sabah and a man with extensive ties to Najib, was named as a key figure in an investigation by Swiss authorities into allegations that UBS Bank was involved in laundering U.S. $90 million made via illegal logging in Sabah. The Basel-based Bruno Manser Fund, which campaigns for tropical rainforests and the rights of indigenous people, has helped to build international credibility for local environmental groups. The Fund has accused Musa of having ties to illegal logging. In response, Musa dismissed the charges as political conspiracy. Opposition leader Anwar expressed concern that Malaysian authorities used the royal tour to drum-up publicity “at a time that these revelations are coming out.” In light of the Swiss Attorney General’s criminal investigation, he suggested that it was incumbent upon the Malaysian authorities to investigate Musa’s involvement. The Everyday Activists Behind Malaysia’s Democracy StruggleMalaysian Politics Get NastyEastern Sabah: Malaysia’s Frontline Against MilitancyHow Will Malaysia’s Najib Razak Fare in 2018?Can Malaysia's Opposition Win?